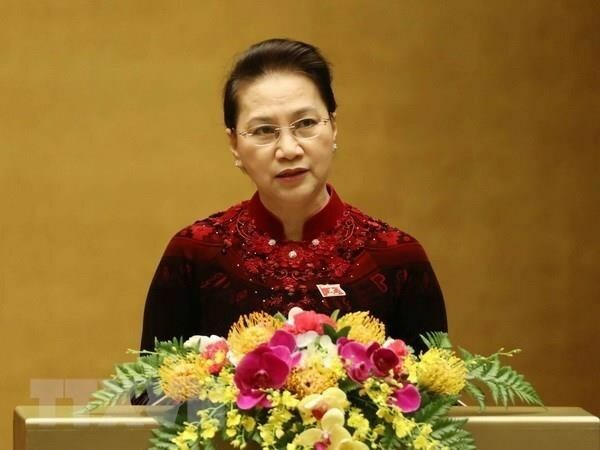 Hanoi (VNA) – The official visit to Morocco by Chairwoman of the Vietnamese National Assembly Nguyen Thi Kim Ngan, starting on March 28, is expected to help enhance the friendship and cooperation between the countries’ parliaments. The tour, made at the invitation of President of the Moroccan House of Representatives Habib El Malki, will be the first by a parliamentary leader of Vietnam to Morocco after 14 years. Their prime ministers and parliamentary leaders used to pay visits to each other’s countries while mutual visits at the ministerial level have been held regularly. The two sides have also coordinated and supported each other at international forums. In December 2014, Morocco recognised that Vietnam has a full market economy. Bilateral trade reached 212.7 million USD in 2018. Aside from exporting goods, Vietnamese businesses can boost partnerships in the fields matching their strength and Morocco’s policies like agriculture, aquaculture, tourism services, consumer goods production, construction, fertilizer production, processed food trading, and logistics services at industrial parks. Meanwhile, parliamentary ties have also been enhanced strongly in recent years. Delegation exchanges have been maintained between leaders and officials of specialised committees of their parliaments. Vietnamese and Moroccan parliamentarians have also regularly met, coordinated with and supported each other at multilateral forums, especially the Inter-Parliamentary Union. The Vietnamese National Assembly and the Moroccan House of Representatives signed a memorandum of understanding on inter-parliamentary cooperation during an official visit to Vietnam by the President of the lower house of Morocco in December 2017. This deal serves as the legal basis for the two legislatures to intensify cooperation.